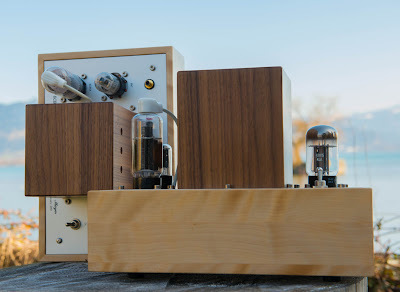 The previous post showed the schematic of this phono stage. Here are some photos and results from the first prototype build. This is a quick mash up of the circuit as drawn in the schematic to prove the concept and get an idea how it sounds. 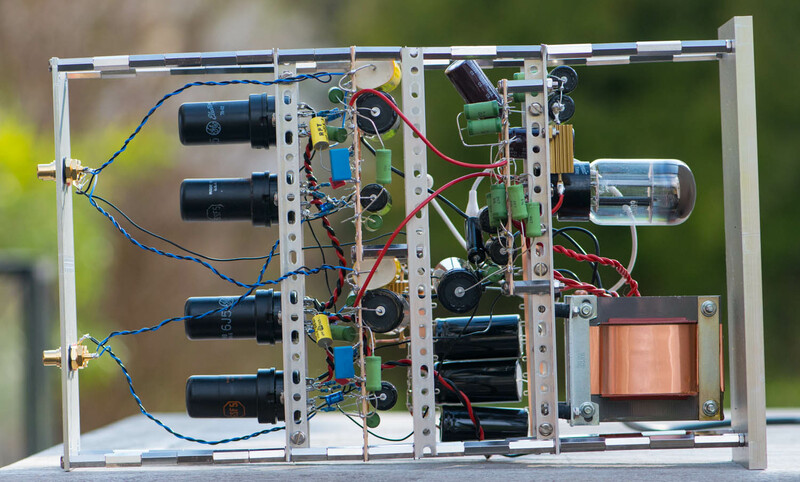 I was most concerned about hum since the power supply is supposed to reside in the same chassis. 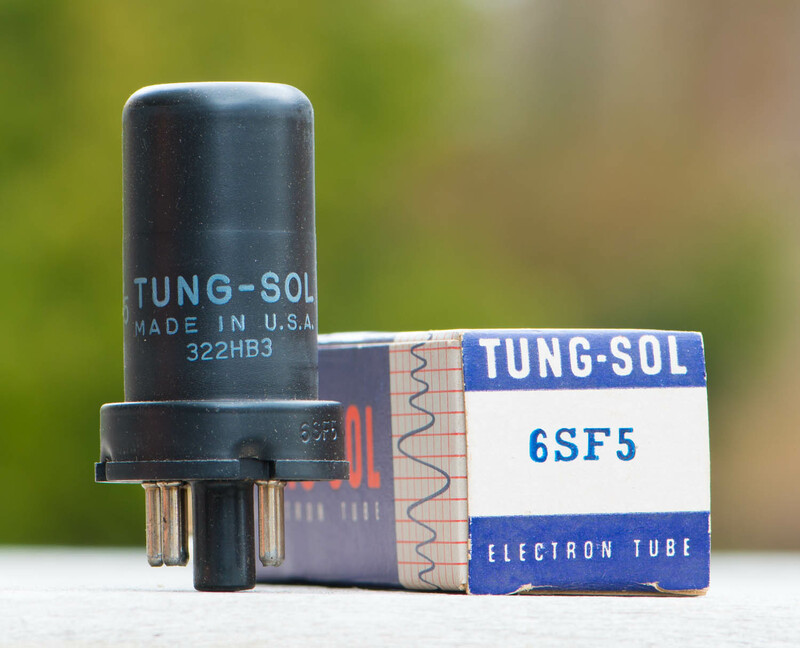 The prototype build even got a rectifier tube, a 6BY5. 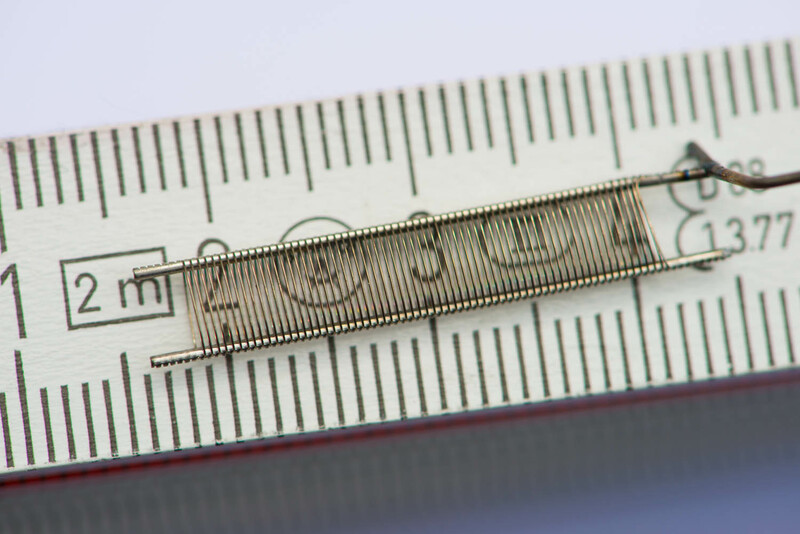 Rectification is done with a hybrid bridge with two UF4001 silicon diodes complementing the tube. Smoothing of the B+ is done without iron, just a chain of RC segments. I added filter caps until the hum level was gone down far enough. 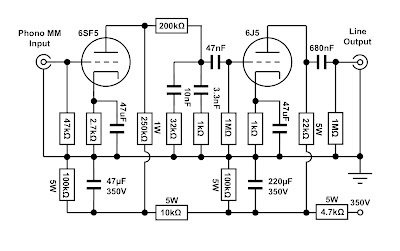 A PSU schematic will follow in another post. The first attempt even used AC heating which gave surprisingly low hum levels. But changing to DC heaters removed any remaining hum. 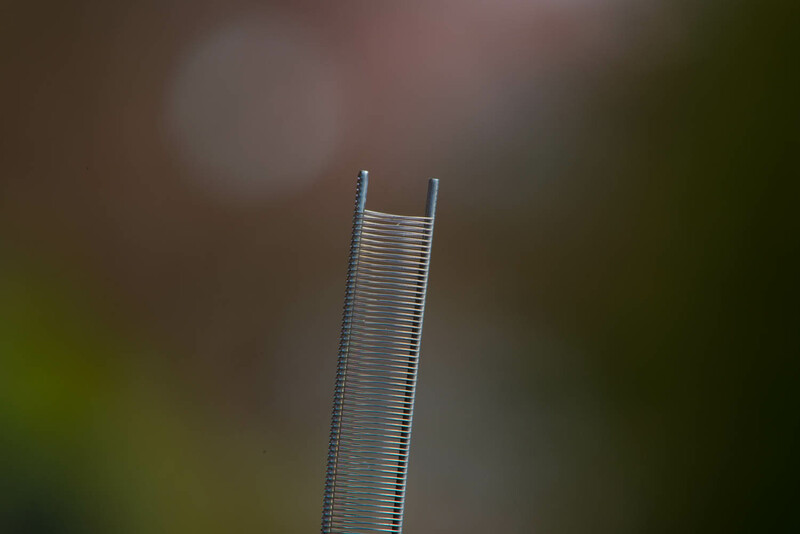 I used metal tubes for the first listening tests since I expected some shielding from the metal shell. But tests with glass tubes showed almost no difference with regard to hum. Frequency response measurements show an almost ruler flat response from about 50Hz to 20kHz. 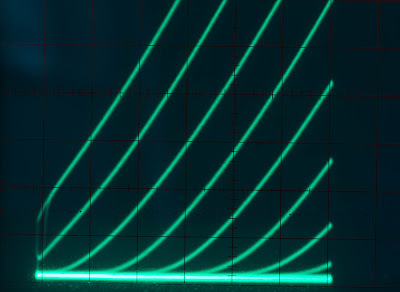 Response falls off a little below 50Hz and reaches -1dB at 20Hz. This low frequency roll off is mainly caused by the size of the coupling cap between the two stages. I left it that way because a little roll off at the very low frequencies is quite ok to attenuate rumble. The response rises a bit above 20kHz reaching about +1dB at 30kHz. Some tweaking of the RIAA circuit can get rid of that. As is it was good enough for me to give it a listen. As expected this phono stage cannot compete with the big LCR RIAA preamps. But it is a nice and solid performer. Smooth sounds with good resolution. I've been listening with this preamp almost the entire last week without any urge to switch to another phono stage. As a next step this will be built up more nicely in a chassis with some tweaking to the RIAA circuit and the power supply. Stay tuned. 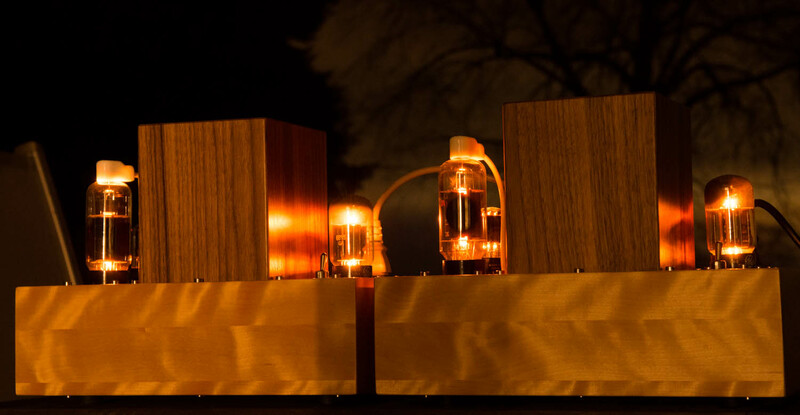 I have often been asked if the phono section of my Octal Preamplifier can also be built as a stand alone unit without the linestage part. This is not feasable since it has a split RIAA, which means the RIAA EQ circuit is split into two parts, one after the first stage and another one after the second. 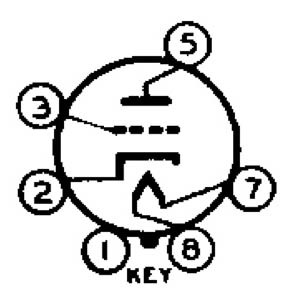 This means the second RIAA part's accuracy depends on the loading resistor that follows after it. 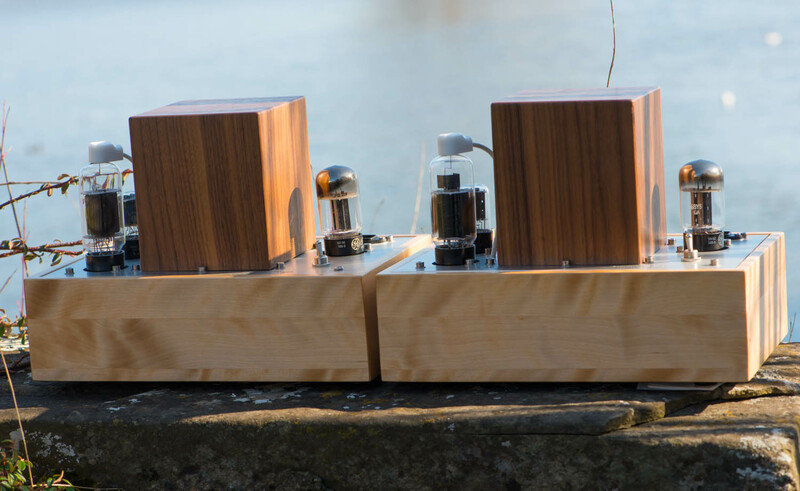 The frequency response of a stand alone phono stage should not be influenced by the load it drives. 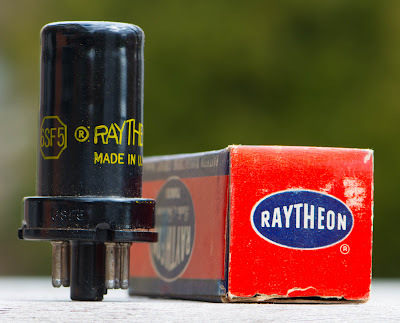 Another problem would be the high output impedance of that phono section. 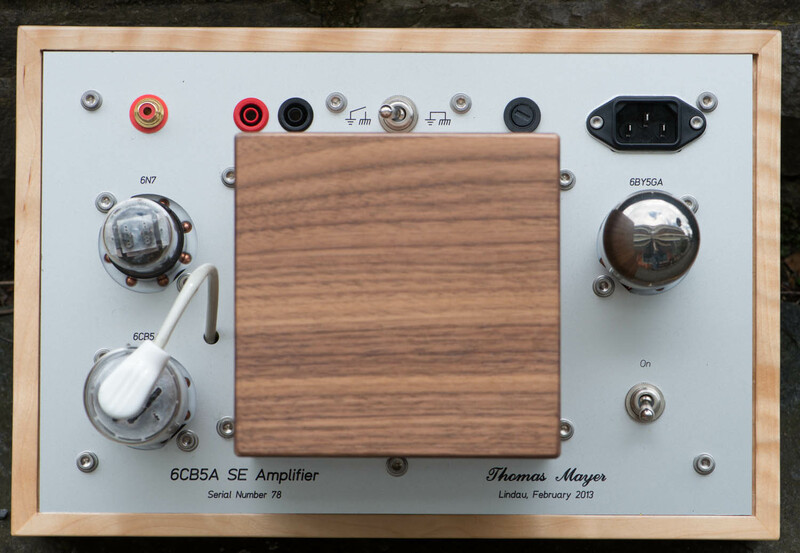 After I introduced a stripped down version of the 6CB5A amplifier. I thought it would be a good idea to also develop a matching simplified version of the Octal preamp. This time the concept will be such that the phono section can either be integrated into a full function preamp or used as a stand alone unit. As you can see in the schematic, this version uses different tubes as the original Octal Preamp circuit. 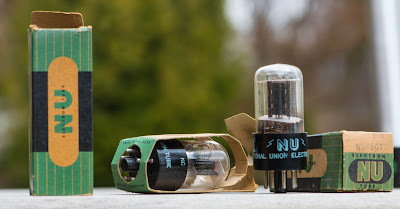 Instead of the 6SL7 and 6N7 this phono section uses 6SF5 and 6J5 which I presented in the two recent tube of the month articles. Let me explain this tube choice. Since this phono circuit should be usable as stand alone unit, it needs a bit lower output impedance. But I wanted to keep it as a two stage circuit. So a output tube is needed which still provides some gain at a reasonably low output impedance. 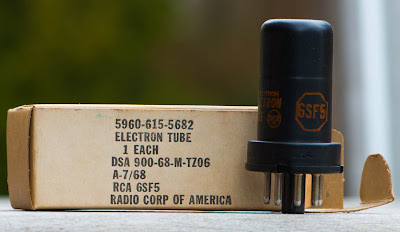 I chose the 6J5 as output tube since it is extremely linear and availability of the tube is good. 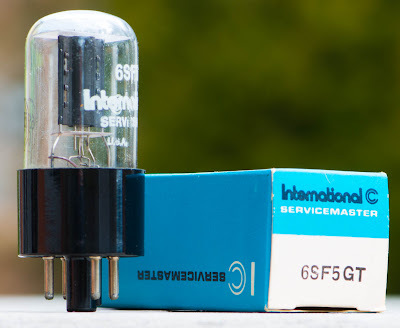 The 6J5 has a lower amplification factor as the 6N7, hence the need for a different input tube which has a higher mu as the 6SL7 to compensate for that. I chose the 6SF5 again for it's superb linearity. I also wanted to keep the Octal theme. 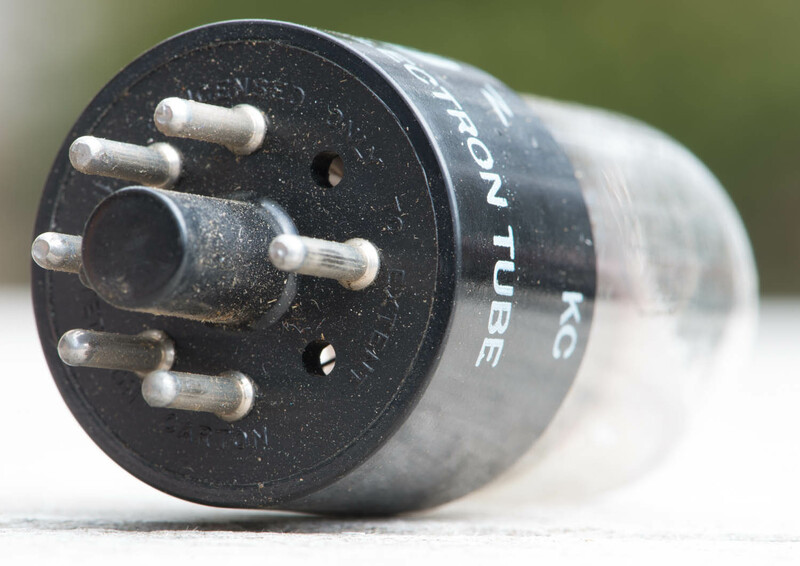 Another benefit of these two tubes is their availability as metal tubes which have shielding built in. Being a stripped down version this circuit is supposed to be used with a power supply in the same chassis, so any shielding is of advantage to keep hum low. 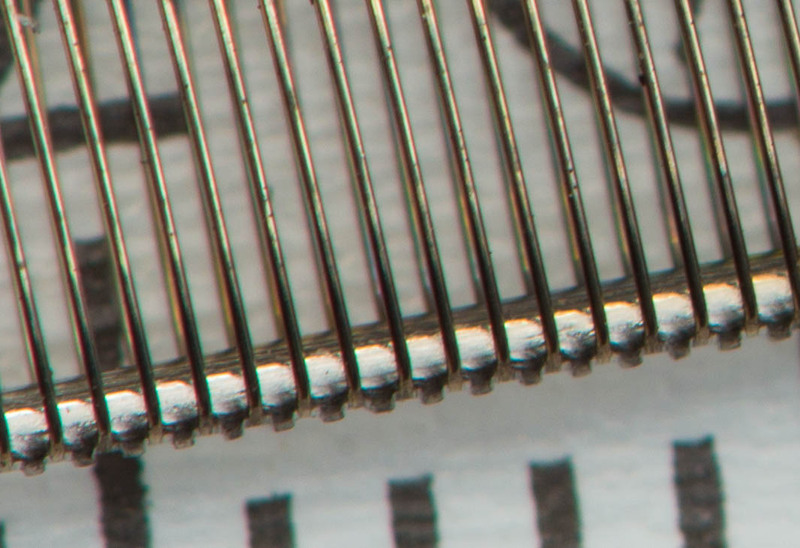 Let's go through the circuit in detail. Both tubes are used in plain vanilla RC coupled configuration. 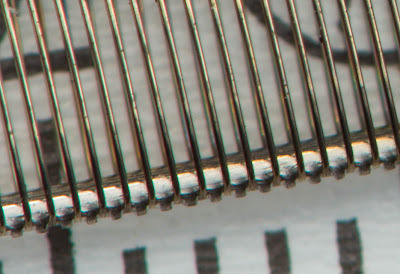 The 6SF5 has a 250k plate resistor. 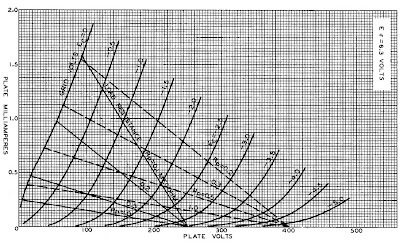 With a 2.7k cathode resistor the tube biases such that the plate voltage divides about equally across the plate resistor and the tube. The same is reached with 22k at the plate and 1k at the cathode of the 6J5. 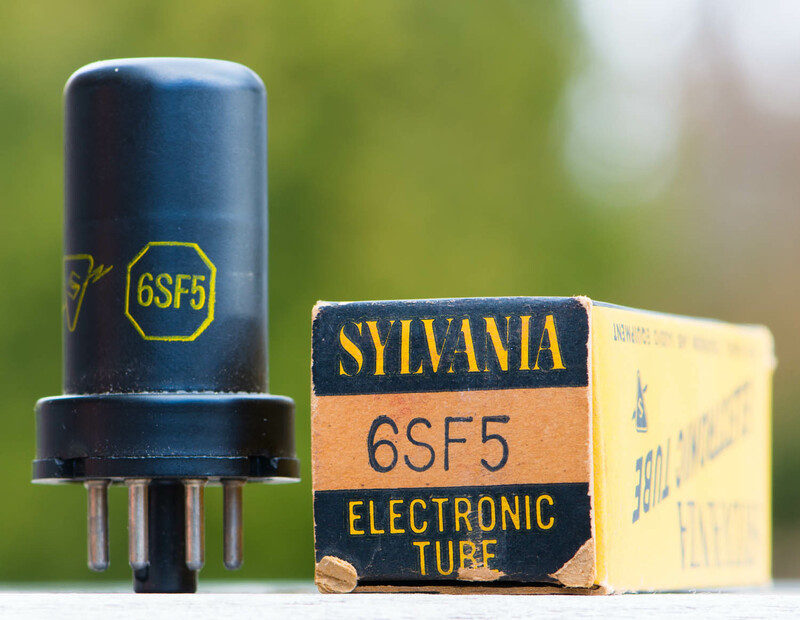 The 6SF5 idles at around 0.6mA and the draws around 5mA. Both cathode resistors are bypassed with capacitors to maximise gain and to avoid an impact on the output impedance which would rise with an unbypassed cathode resistor under the 6J5. The output impedance of this circuit is not terribly low. It falls between 5 and 6 kOhms. 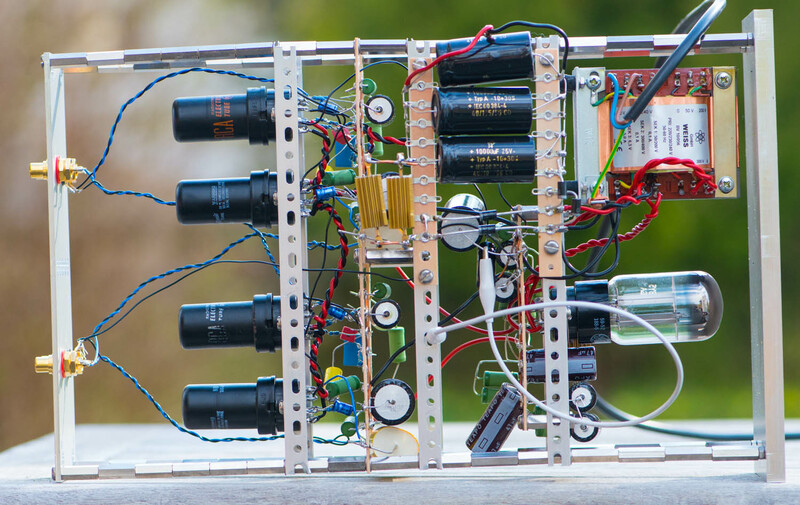 This is a compromise which was taken to avoid a third stage and to keep the circuit simple. This output impedance is ok to drive short cable lengths and input impedances of 47kOhms or higher which is typical for tube line stages. In case of integration into a full function preamp it would typically drive a volume pot, for which 100k would be a suitable value. 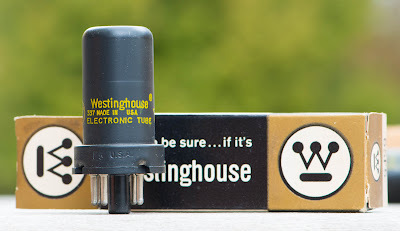 If used as stand alone unit, this phonostage should be complemented by a proper active line stage. 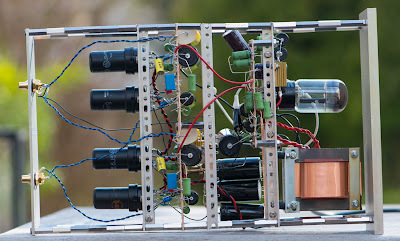 It is not meant to drive a passive linestage which is usually followed by long cable runs to the power amp. It might be ok to drive an integrated amp if it does not have too low input impedance and will not be placed too far away from the phono. But gain might be a bit low for that, depending on the sensitivity of the amp. 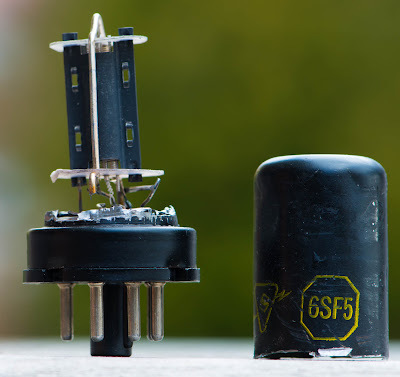 Some explanation of the remaining circuitry: In the schematic the 6SF5 is shown with a 47k grid to ground resistor, which is standard for MM inputs. 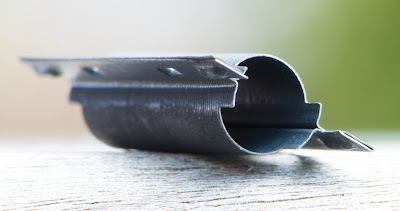 It could be raised to 100k if needed and of course could be lowered if the cartridge needs a lower load. 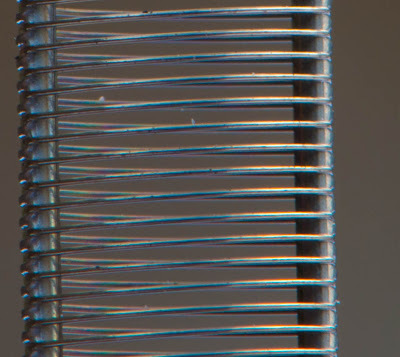 Loading capacitors can also be added in parallel if needed for the cartridge. 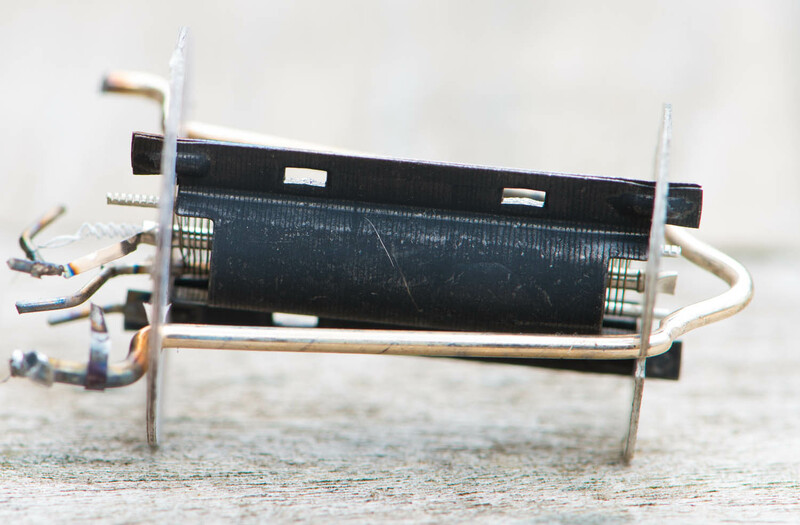 Of course a MC step up transformer can be put in front of the 6SF5 to use it as a MC phono stage. 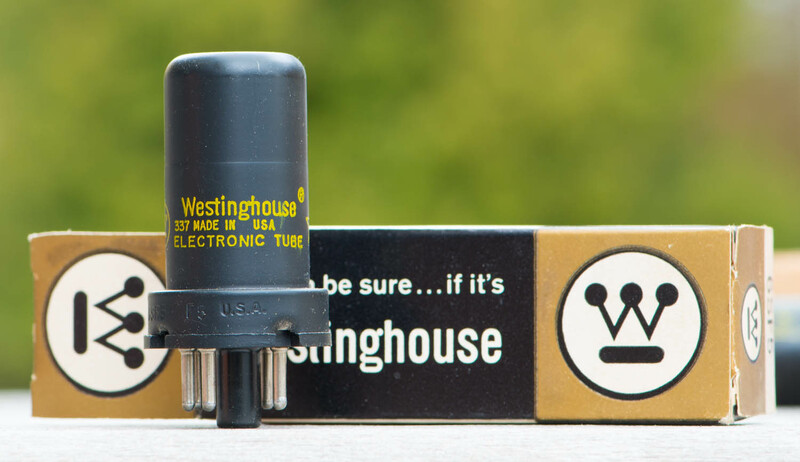 Next let's talk about the RIAA EQ, a vital part of any phono stage. As mentioned above a composite RIAA is chosen. This is formed by the 200k series resistor which connects the 6SF5 plate to two RC networks to ground. 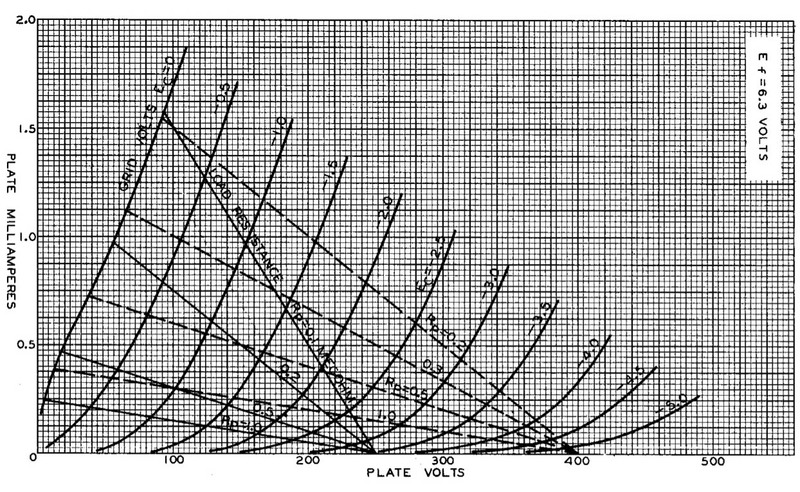 The first one, 10nF and 32k Ohm is responsible for the low frequency corner at 50Hz and the turn over frequency at 500Hz (3180 and 318 uS time constants). The 3.3nF does the high frequency roll of above 2122 Hz (75uS). The 1k Ohm in series to the 3.3nF stops the high frequency attenuation at some point to provide an approximation of the 4th time constant (Neumann). Usually this point is set at 50kHz but it is not well defined in any standard. 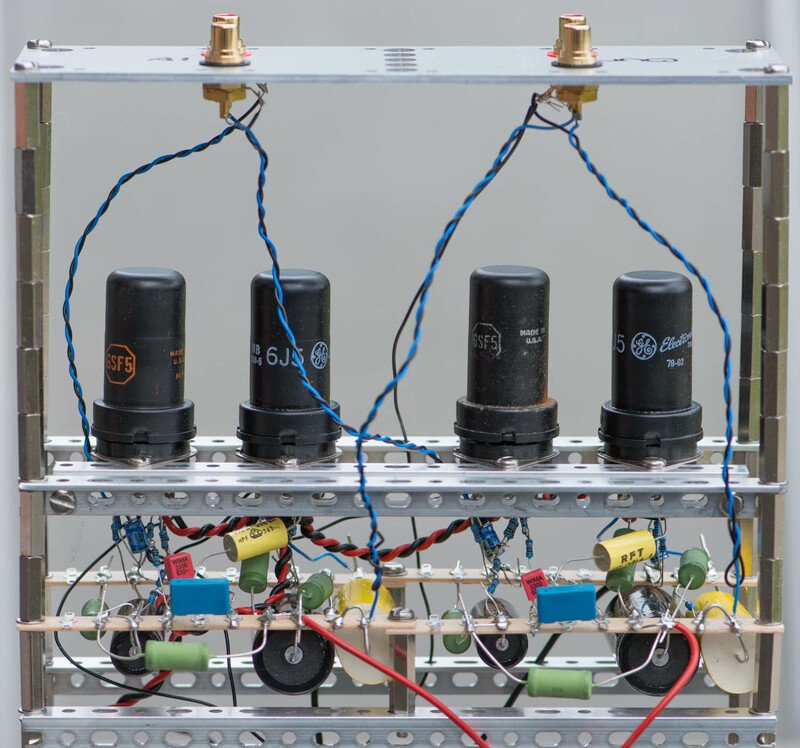 The 47nF blocks the DC of the first stage from the grid of the 6J5 which is connected to ground through a 1M resistor. 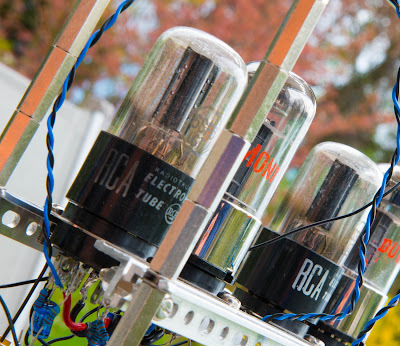 Since the RIAA circuit is ahead of the blocking capacitor, the RIAA caps see high DC voltage across them. Caps with suitable voltage rating need to be used there. And finally the 680nF couple the signal from the 6J5 plate to the output. 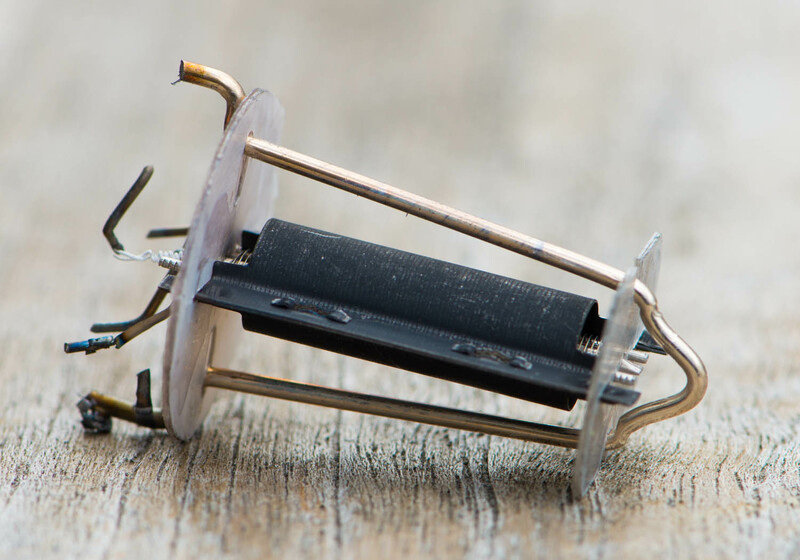 The 1M resistor across the output avoids any static charge build up in case the phono stage is not connected to a load. The 47nF and 680nF capacitors determine the low frequency roll off. With these values the low frequency roll off will start at around 10Hz. The values of the caps can be lowered if some earlier roll off is desired to avoid low frequency rumbling. The high frequency response is extremely good. I measured the -3dB point way beyond 100kHz with a signal feeding the phono through an inverse RIAA network. 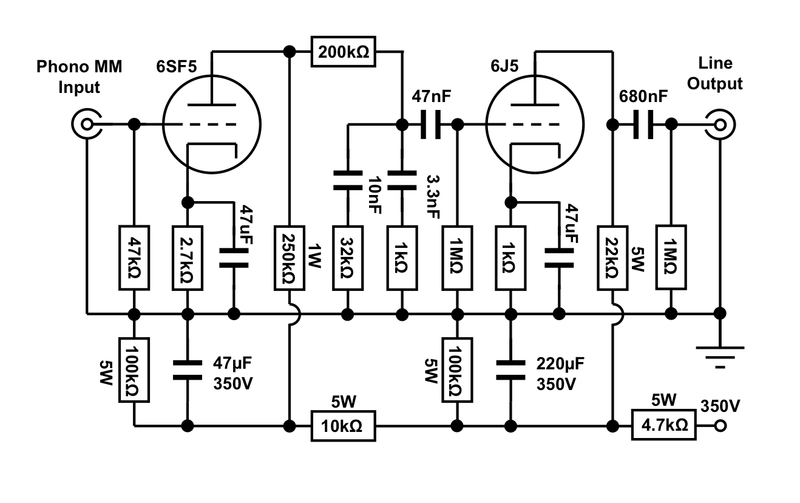 The power supply can be very simple. 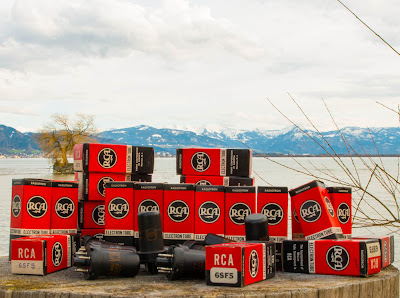 About 300-350V well filtered DC are needed. 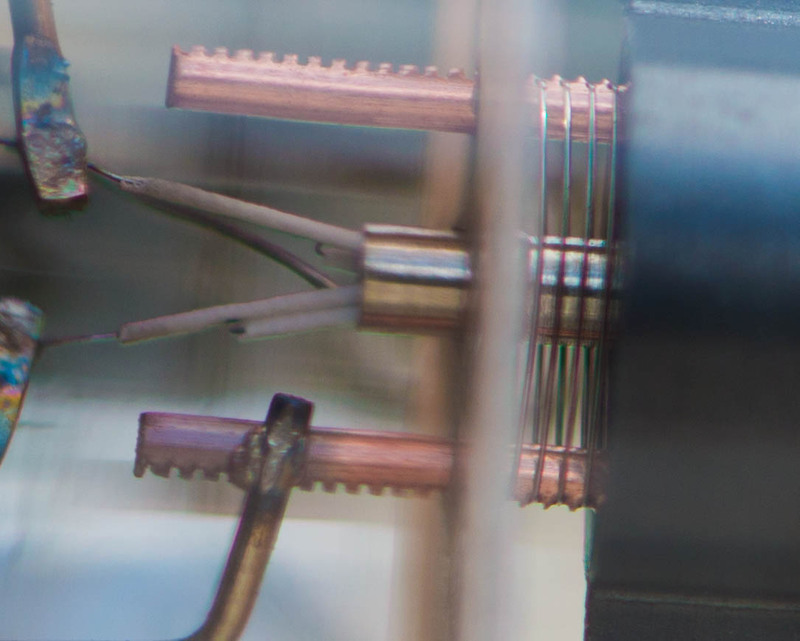 The first 4.7k forms a separate decoupling network for each channel together with the 220uF cap. The input stage is further decoupled by the 10k and 47uF network. 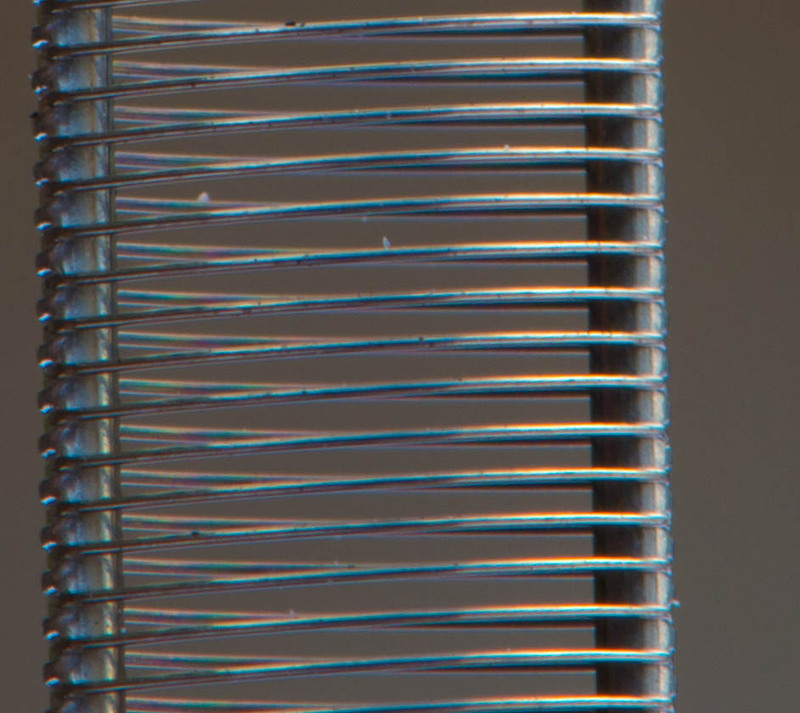 The 100k resistors in parallel to the B+ caps ensure that the caps are drained after turn off, even with the tubes unplugged. 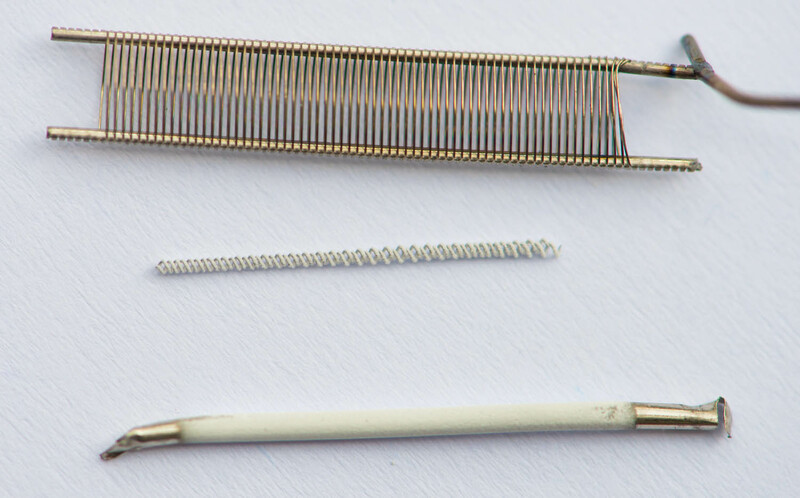 In addition they are a crude form of passive shunt which provides a little stabilisation for the high voltage. 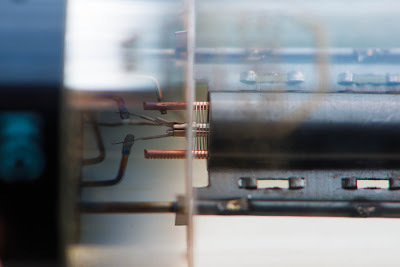 The actual power supply will be covered in another article. That's about it. Nothing fancy. A straight forward circuit. 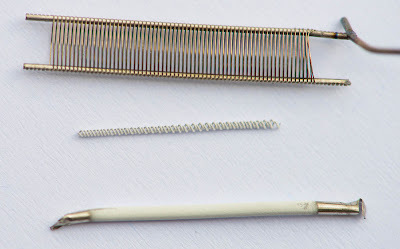 In case you are wondering why there are no grid stopper resistors: They are not needed here. These tubes are fairly low in transconductance and are not probe to self oscillation. Of course you can put some in if you feel the need for them. 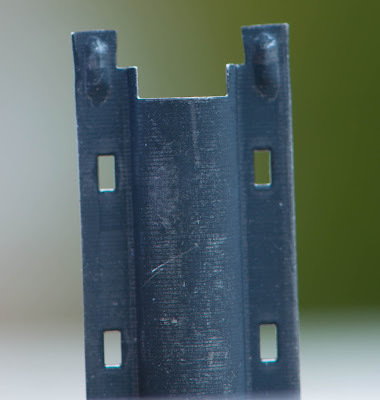 I will show the initial prototype build in the next part and also some measurements. 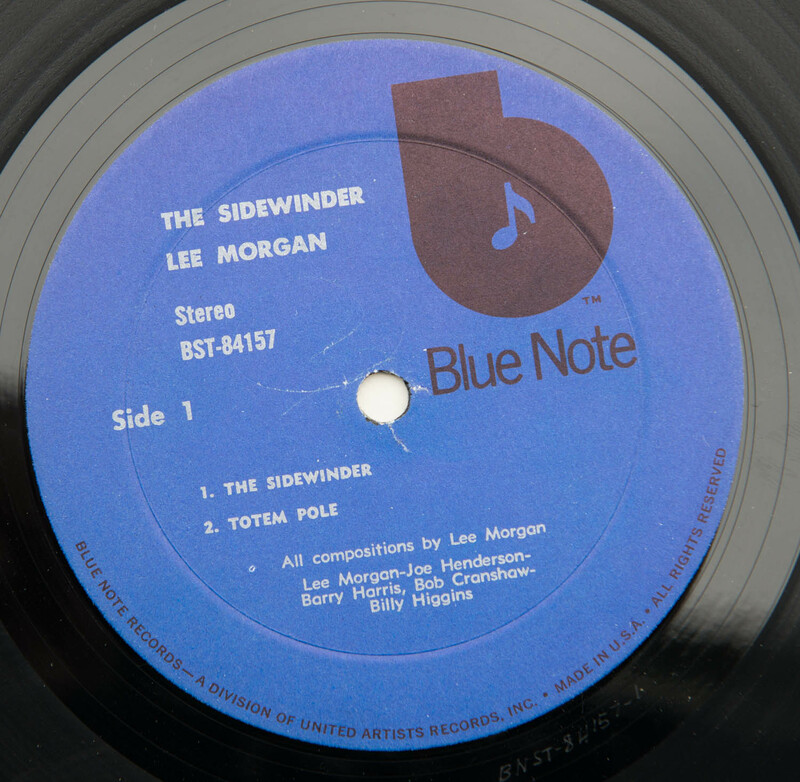 Here is another great Blue Note record. Lee Morgan's The Sidewinder. This album is one big bag full of groove! It is a great mix of soul, funk, blues with hard bop elements. 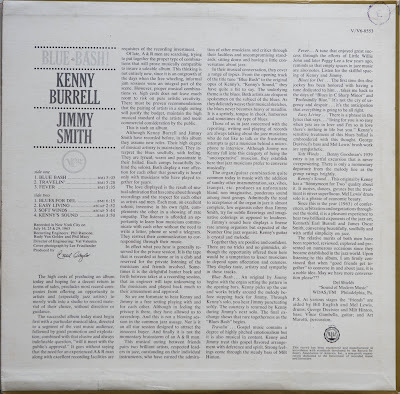 The album was very successful and greatly influenced the jazz scene. 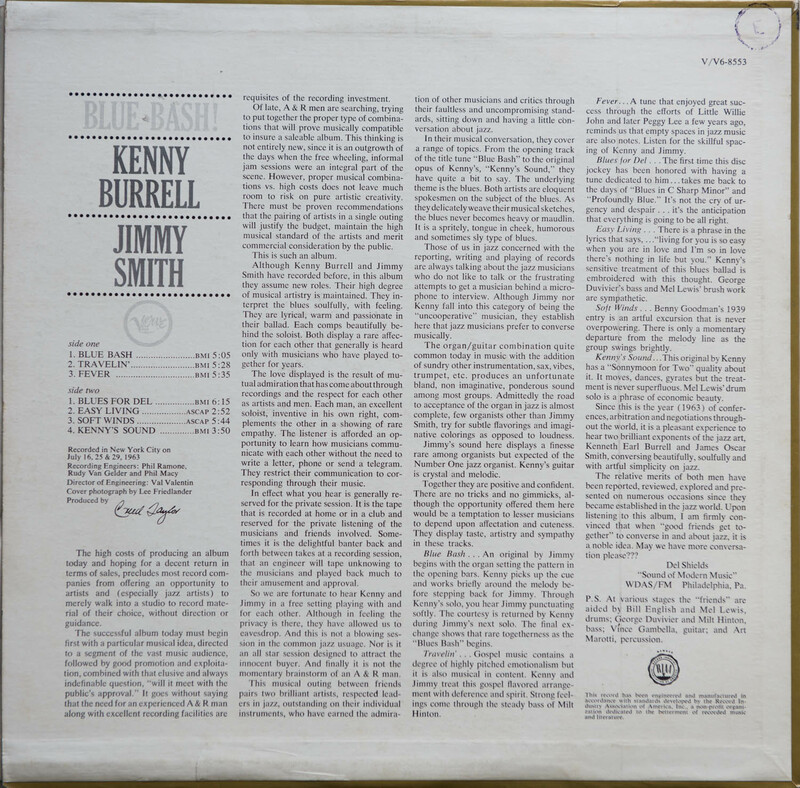 The album was released in 1964 on the famous Blue Note label. Like many other Blue note records, Rudy van Gelder did the recording and yet again he gave this album his distinct sound quality which might not be obvious when listened to the first time. In fact this album might not sound good on the typical modern overly (and falsely) analytical system. The trumpet and sax can easily slip into becoming annoying. A good system however will reveal all it's glory and beauty. The funk, rythm and colors are well preserved. The opening track which is called like the album sets the pace for the mood right away. it opens with a bass, played by Bob Chanshaw and a very simplistic piano by Barry Harris. Only a few keys a played by the Piano which along with the bass sets the rhythm throughout the piece. 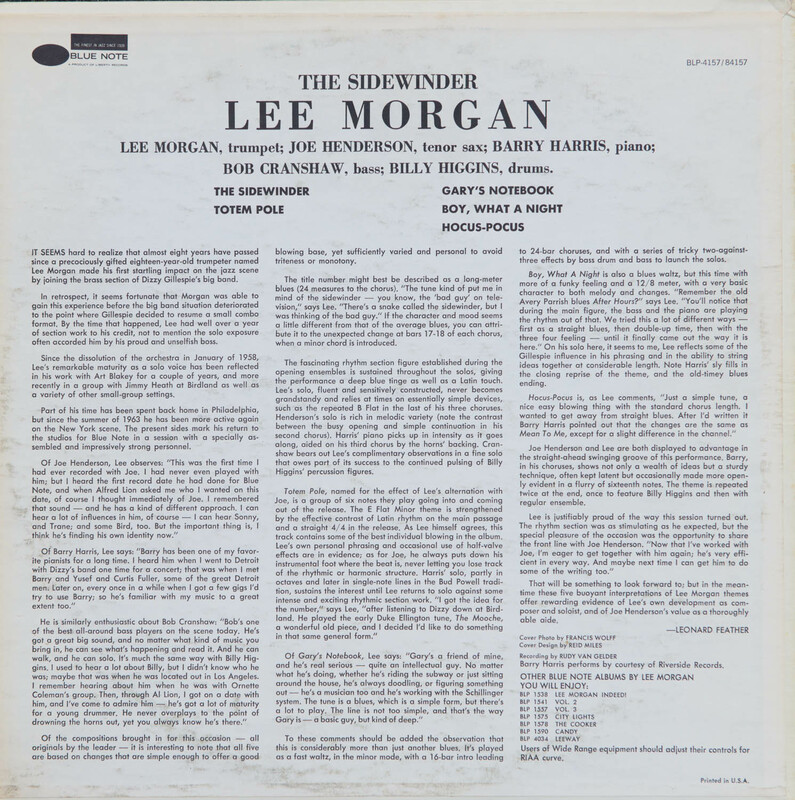 Then Lee Morgan kicks in with the trumpet and they just groove a long. 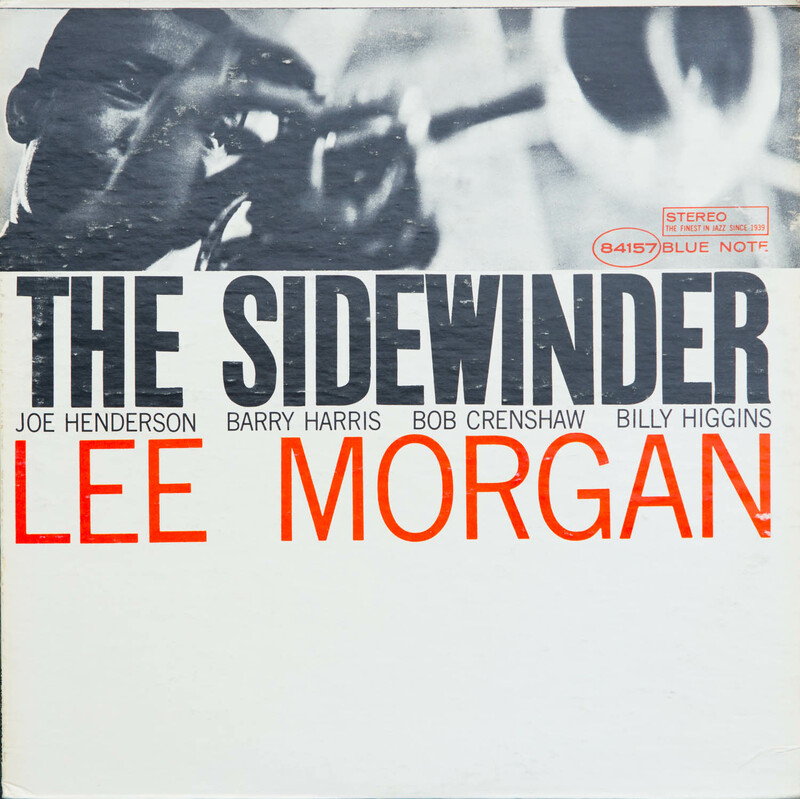 About halfway into the piece, Morgan hands over to Joe Henderson on the sax and thinks get funky. In the last third the piano plays a solo. Harris uses a few more keys during this part but merely hint at some melody. This parts actually sounds mostly improvised. He then hands over to the bass solo. A brilliant piece! 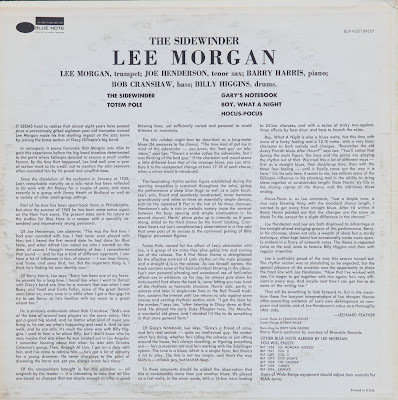 Since this album was sold in large numbers compared to other Blue Note releases it is easy found in second hand jobs. If you don't have this record, get it! 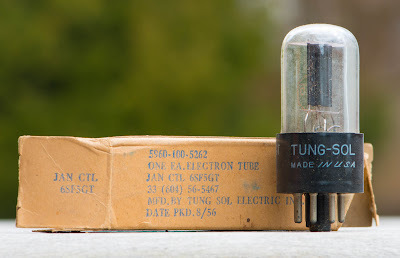 Last months tube was a medium mu octal triode. 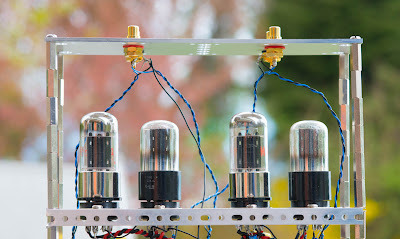 This month I am presenting a high mu triode with octal base. The 6SF5 and it's glass equivalent 6SF5GT. The 6SF5 is even less common among tube audio designers today than the 6J5. 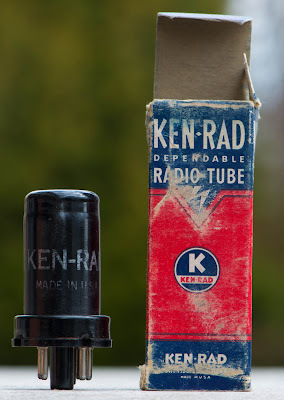 Again a surprise since apparently it is a tube very well suited for audio use. So why is practically nobody using this tube? It seems perfect for small signal amplification purposes. The metal shell of the standard 6SF5 cannot be the reason since it is also available as glass type. 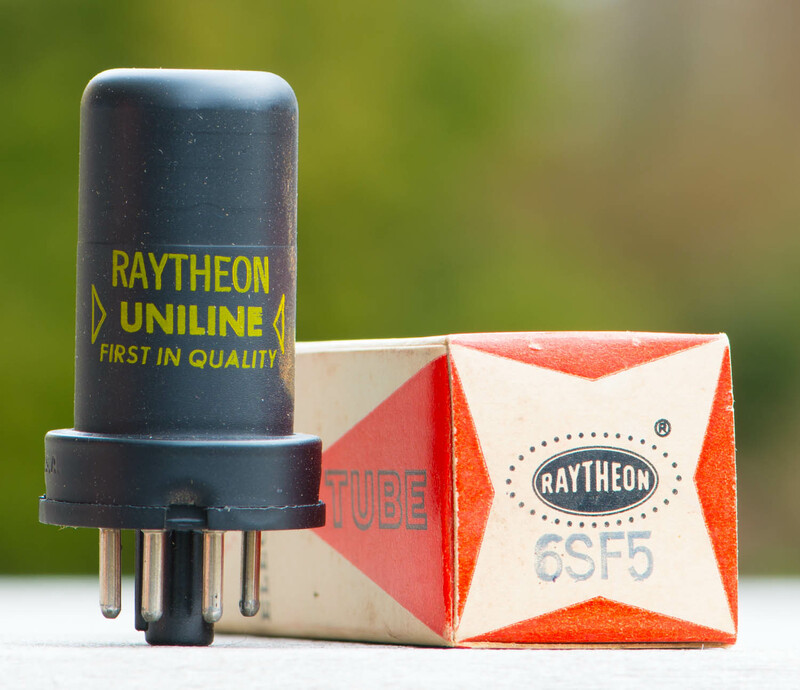 Those metal shells can be of significant advantages in a phono stage since the tube has shielding built in. This Phono Preamp will be covered in an upcoming series of posts. The next one is branded International Service Master. 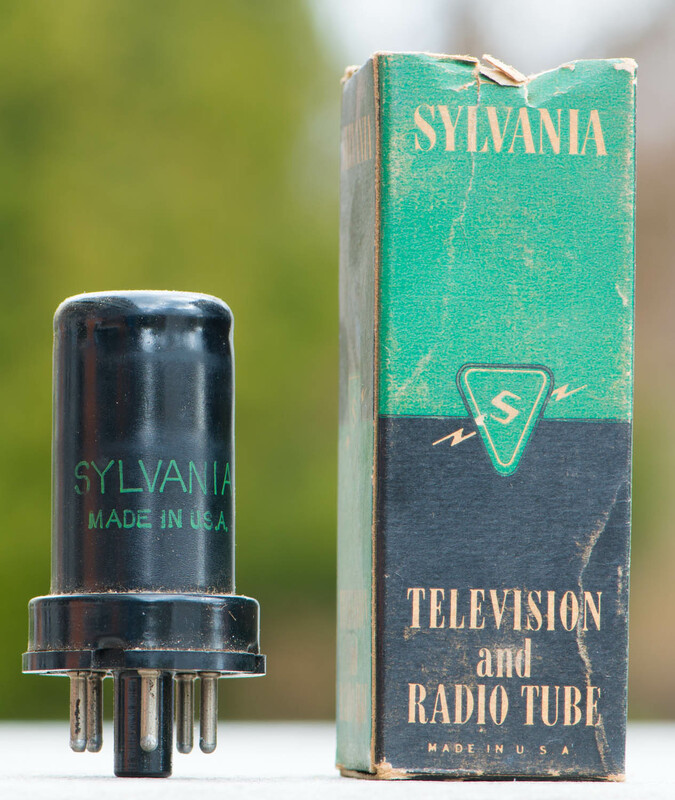 They did not manufacture tubes themselves. They rebranded tubes from the major suppliers. I hope you enjoyed this months tube presentation. Stay tuned for an article about a very different tube next month. Music : Kenny Burrell and Jimmy Smith, Blue Bash! Here is another record from my collection which I tend to pull out a lot lately. Blue Bash! 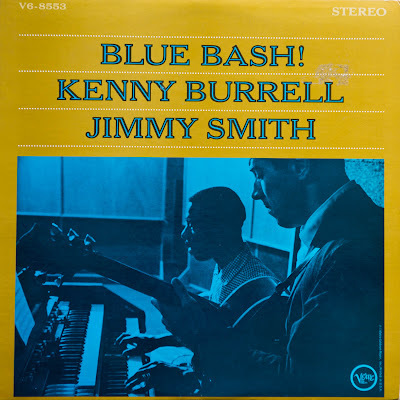 With Kenny Burrell and Jimmy Smith. I already wrote about Jimmy Smith in the post about his album Organ Grinder Swing. I like that groove of the Hammond B3 organ. Jimmy Smith's play together with Kenny Burell's guitar is a great combination. Those sounds have a remarkable effect. 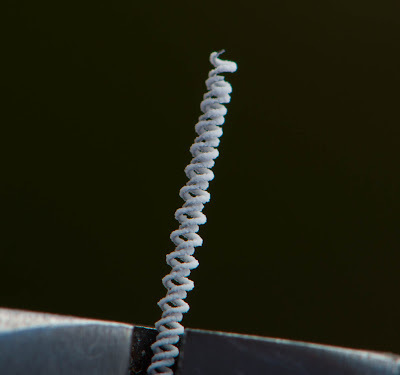 They go right into your ear and create a sensation which tends to stay there even hours after listening to the record. 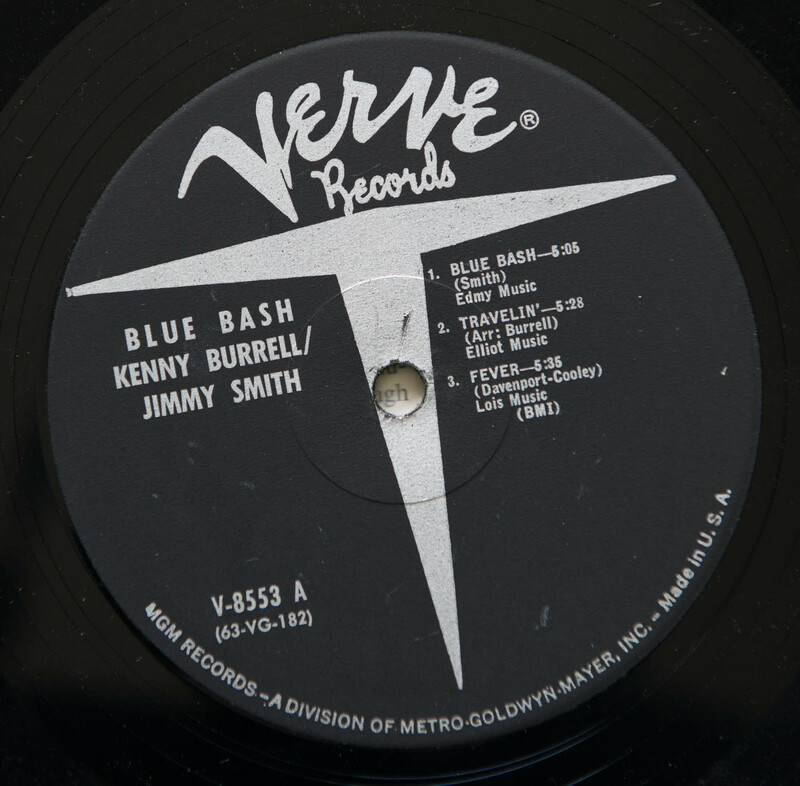 The album Blue Bash was recorded in 1963 and released on the Verve label. The famous Rudy van Gelder was part of the recording team. Van Gelder was also responsible for many Blue Note records. This album shares the same tonal quality. Excellent colours and a twangy sound. No exaggerated treble. Smooth and groovy all the way. The last title on side one is a brilliant instrumental interpretation of the famous song Fever. I am listening to the album right now through the prototype build of my new Octal Phono Stage. If you like bluesy Hammond and guitar sounds this is a record for you! Get the vinyl and savor it! 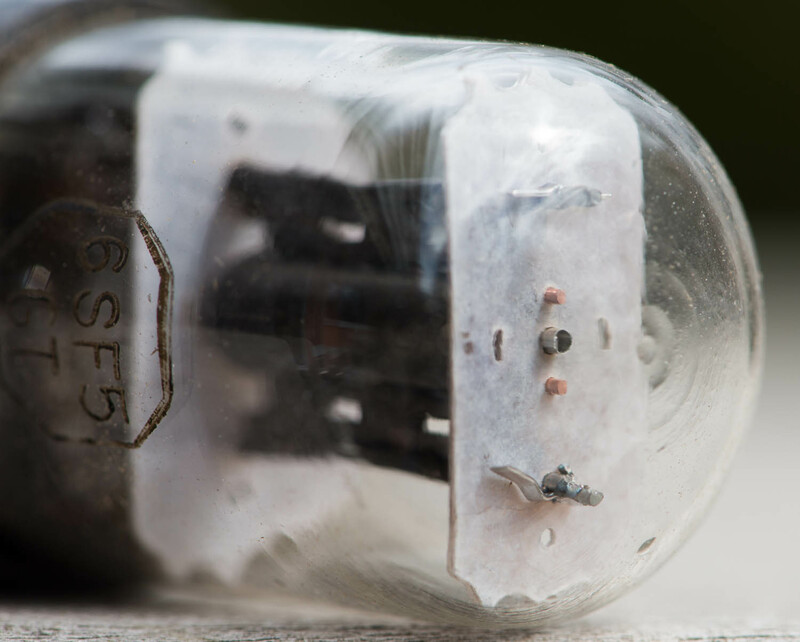 Many people asked me already how these little monos sound. If you read my article series 'How Does It Sound' you know that I am reluctant to give sound descriptions since they can only be very subjective. But I understand that there is a lot of interest and that it is difficult to have an idea about the sound from the previous posts. So I will try my best. The amps have been playing in my small system for over a week now. They have the sound character I am looking for. No harsh sound or annoyance. Neutral frequency response as could be expected from the measurements. Resolution is good. How do they compare to the transformer coupled version? Of course the bigger version gives more of everything, especially in the resolution department and also richer tone colours. These amps are a stripped down version, so some compromises had to be done. 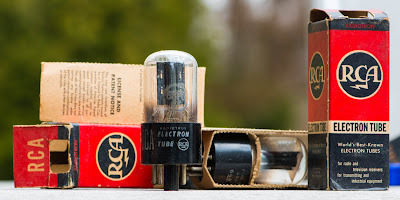 For the cost of the parts (just below 1000 Euros for all the electronic parts for both monos, without chassis, or about 800,- for a stereo version) I think it gives a more than excellent sound. 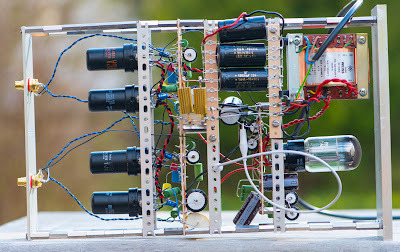 If you have a good stock of parts yourself and if you are a bit creative with salvaging power transformers or output transformers from old radios, these can even be built for a lot less. The cost mentioned above includes the high quality Lundahl transformer and choke and the excellent quality power transformers. 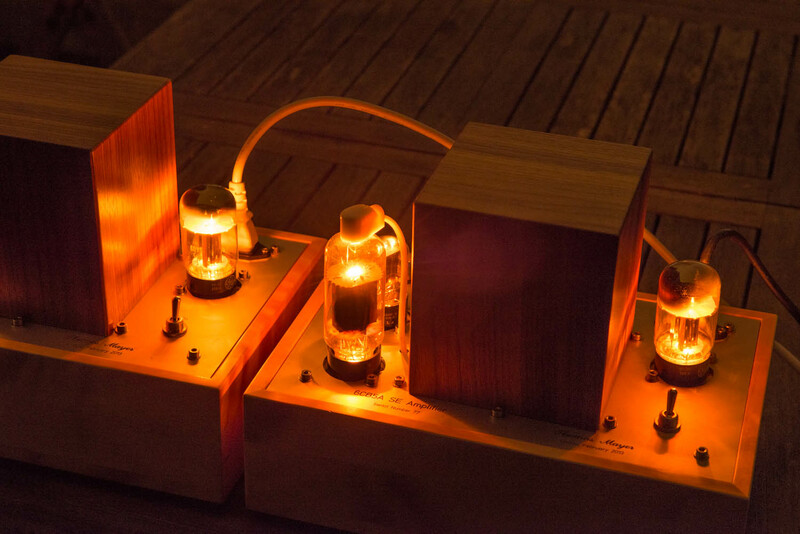 These amps do not sound 'tubey' at all. They are neutral and have a solid bass given the size of the amps and their power. Of course suitable speakers need to be used with them. Yet they retain the ability of good single ended designs which excel in musical flow. How do they compare to amps with directly heated triodes? 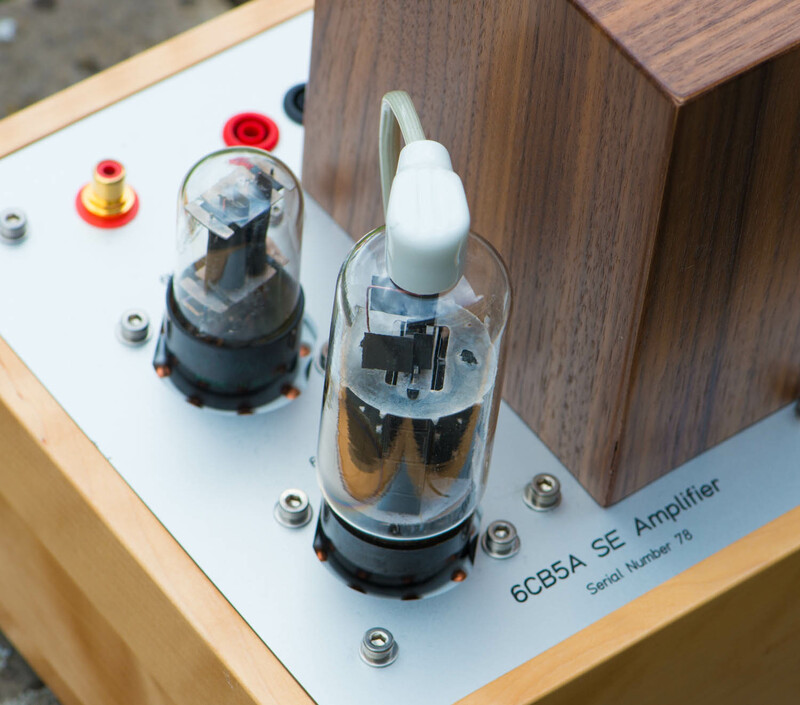 Of course a well implemented DHT amp will give even more of the single ended magic and will be better able to reproduce the atmosphere of a recording. But to achieve that requires much higher expenses. 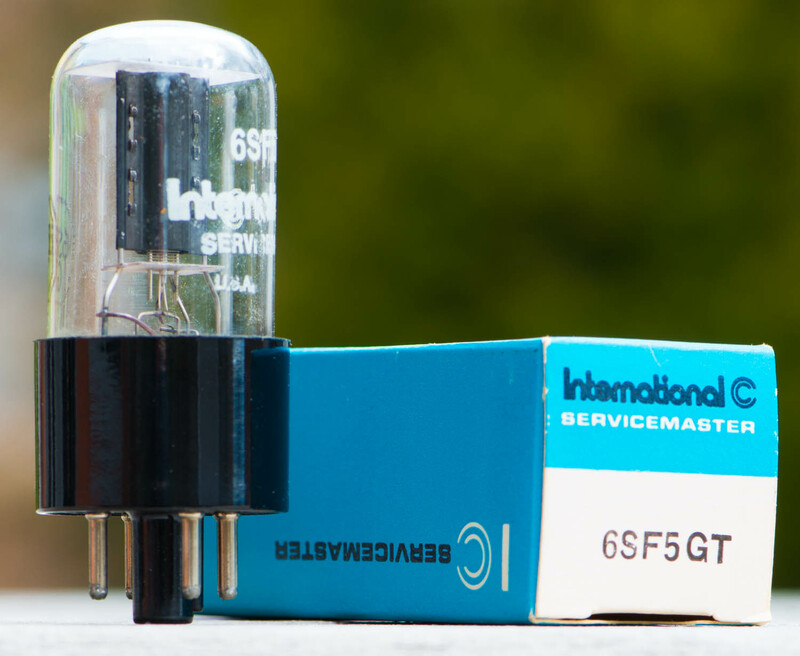 A poorly designed DHT amp or one with poor quality parts will not be able to compete with these 6CB5As. 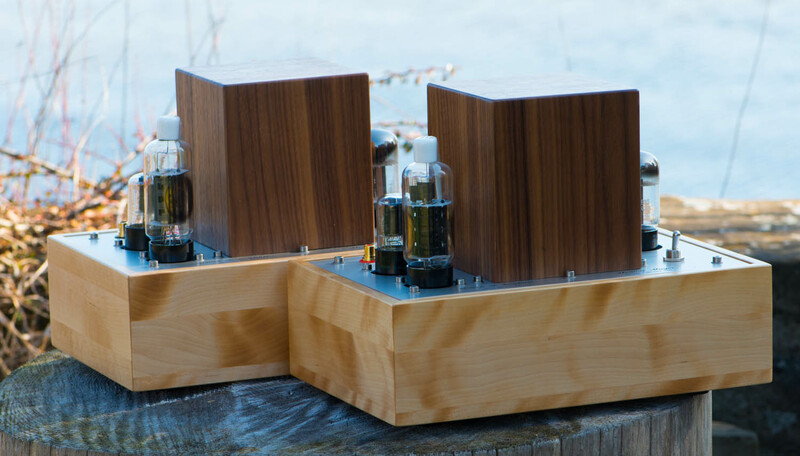 The system needs to be of very high quality before these amps would become the limiting factor. As mentioned I have been using these amps for over a week now and I can happily listen to music with them. Even though I have some behemoth amps in the basement, there was no urge to pull one of them over. My last record review was done with these small monos. Let me share a big secret about how to get good sound with you: Be happy with what you have or rather what you can afford. 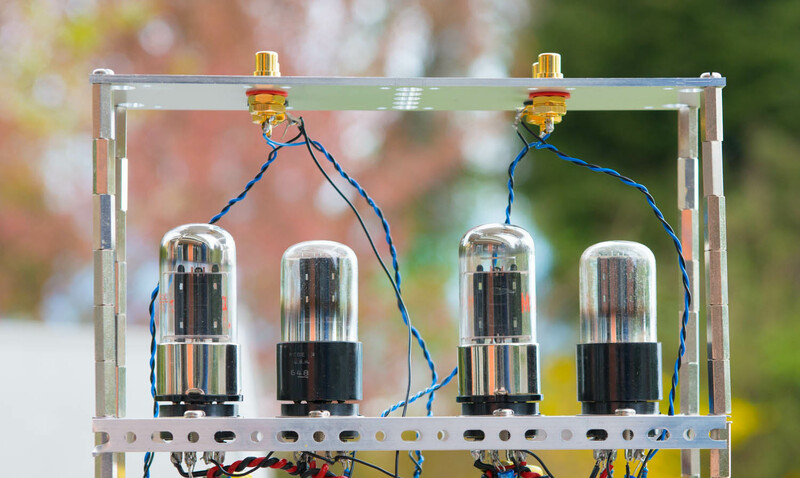 No matter how much you spent or how much effort you put into an amp, there will always be something better out there somewhere. There are always possibilities to do details better. Stop worrying about sound and enjoy the music! Sounds ridiculous? Especially since I offer much more elaborate and expensive designs myself? I don't think so. I know many audiophiles who are always worrying about the sound quality and are never happy. This is supposed to be fun! 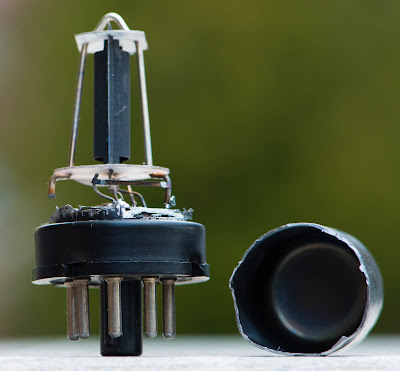 Don't do the mistake to listen for the faults in an amp or a system. You will always find faults. Once you concentrate on the weaknesses, that's what you hear. 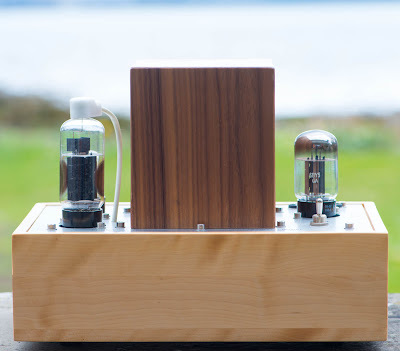 Rather concentrate on the strengths of an amp. And these little buggers have many strengths to offer. 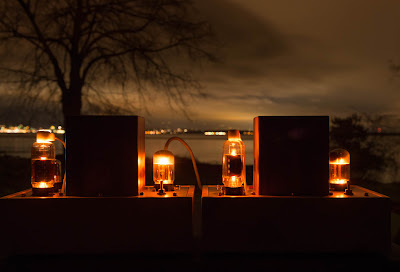 I hope you enjoyed this series of posts about these amps. 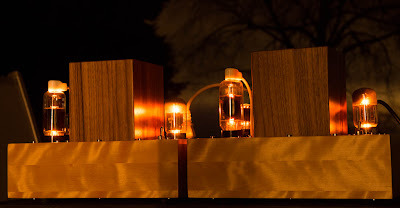 If you want to build these or a stereo version of the circuit and need parts, don't hesitate to contact me.